I've always had a houseplant addiction. I figure it's healthier to have lots of living things around you, whether those things are people or animals or plants. NASA did a pretty rad study that compared different houseplants and their abilities to remove chemicals from the home. Because homes are increasingly becoming energy efficient and better sealed, indoor air quality can be quite poor. The cleaning products we use and even our furniture off-gas chemicals like benzene and formaldehyde.Things like carpet, draperies, or even kleenex and grocery bags release these chemicals. 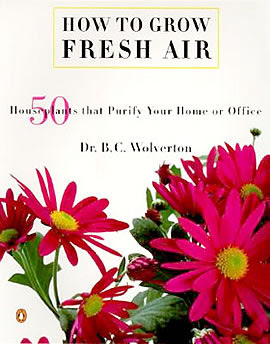 The best of the best were published in the book How to Grow Fresh Air by B.C. Wolverton. The full 50 plants, if you're curious, are listed here. He evaluated plants based on the amount of chemicals they remove, their ease of growth, their resistance to insects and disease, and their transpiration rates. The transpiration rate measures how much water the plants release through their leaves, which in turn pulls air down around the plant roots. This is a good thing because it creates air flow where there otherwise might not be any. Better airflow means better removal of chemicals from the air. The number one plant for removing chemicals, transpiration rate, and ease of growth is the Areca Palm, followed by the lady palm (Rhapis excelsa) and the bamboo palm (Chamaedorea seifrizii), one of which I plan on acquiring soon. The author includes a lot of interesting facts about the plants, such as when they consume carbon dioxide and give off oxygen. Snake plants (Sansevieria), Christmas Cacti, and Aloe Vera all give off oxygen at night, so they are great plants for the bedroom. I moved the boy's humongous snake plant into the bedroom recently, and while he hasn't stopped snoring, we're sleeping well. Because of all the oxygen, I'm sure. I already had a fair number of plants listed in the book, which makes me think most houseplants are probably pretty good for you. This is a Dumb Cane (Dieffenbachia "Exotica Compacta"). These are Dragon Trees (Dracaena marginata). The dragon tree is among the best plants for removal of xylene and trichloroethylene. I won't even show you a picture of my peace lily (Spathiphyllum sp.). It's a beautiful plant when you don't ignore it the way I do. I'm not crazy about it, truth be told, but it ranks really high in the list. This is a rubber plant (Ficus robusta) that I also try to kill regularly. It ranks high and is especially adept at removing formaldehyde. The "knows how to become a librarian" flag just looks cool. This is heart-leaf philodendron (Phildendron oxycardium), which most people probably have at home. They don't need much light and they are super cheerful looking, no? So, yeah . 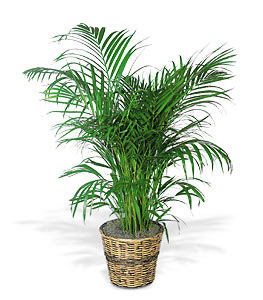 . . if you hate house plants but love good air quality, get an areca palm. And sleep with some aloe vera. Wow, this is so cool. I have been a notorious killer of houseplants, so I had kind of given up on them. I have a few in my office which stay alive thanks to a dutiful employee who waters them for me. We got a cyclamen as a memorial gift when we had to put Logan down earlier this year and I have officially not let it die yet. Yay me! That and this post make me want to try more. We have such a lack of surfaces near windows that I have sort of assumed that houseplants were out. But maybe we can make it work! I'm getting my hands on that book asap. Anne, cyclamen is on that list! And I can attest that sansevieria are really hard to kill. They don't like to be watered very often. It is! He takes really good care of it.